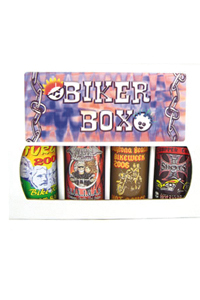 Biker Box Hot Sauce Gift Set is made the for man or woman out there who loves to feel the power of a hawg between their legs. Now you can experience the thrill of the open road in your kitchen! 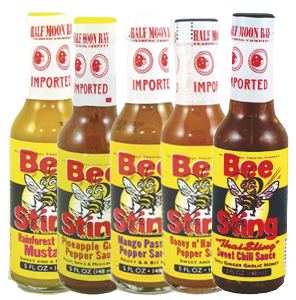 Includes a bottle of Sturgis Bike Rally Hot Sauce 5oz, HAWG 5oz, Crazy Jerry's Biker Trash Habanero Garlic Sauce 5oz, and Daytona Bike Week Hot Sauce 5oz.